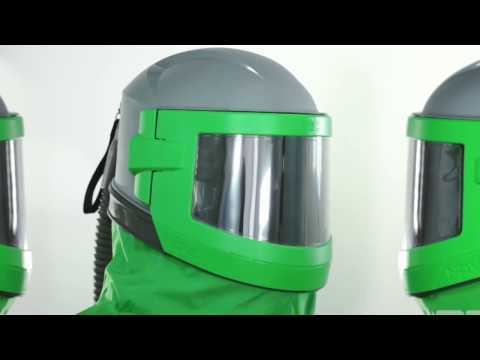 Revolutionizing blasting helmet designed to optimize safety and productivity, and to minimize worker downtime. The revolutionary RPB NOVA 3 helmet minimizes worker downtime and maximizes safe production time through its unrivalled comfort and functionality features. The helmet’s weight is evenly balanced over the head and shoulders which reduces fatigue. In addition a ratchet adjusted neck pad supports the head. With the fully adjustable ‘clever fit padding’ the helmet can be customized to a perfect individual fit, protecting not only the workers’ head and vision but also the hearing. Over 45 minutes recorded time saved per day (per worker) and increased productivity because of the unique ‘fit-and-save’ tear-off lens system with pre-folded tabs.